This is a major success story. 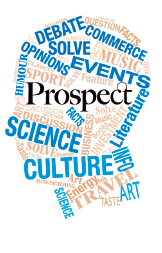 I was approached by Prospect nearly 3 years ago, to help them with their direct marketing subscriptions programme. The route was targeted direct mail. The first campaign I wrote and created was an immediate success and uplifted response rates significantly. Three years on, the success continues. I now also write and create emails, ads and inserts for them.